My name is Moriah, and I am the Director of Communications for the Institute for Field Research. We are a nonprofit organization based in Los Angeles that runs research-based, peer-reviewed field schools all over the world. 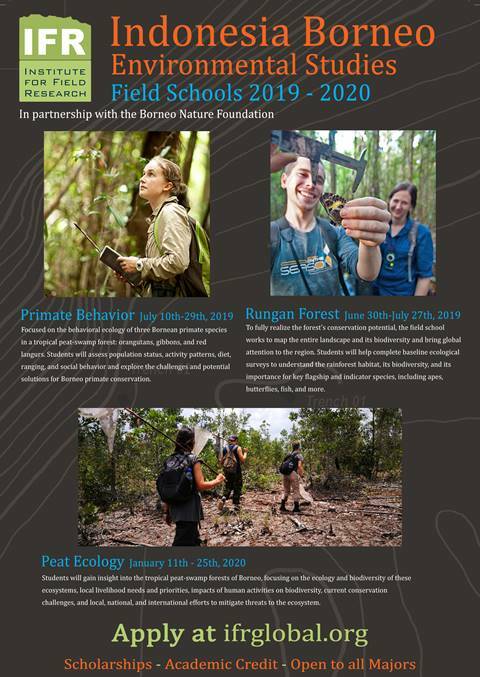 I am reaching out to make you aware of our field schools which offer unique opportunities for your students to take part in hands-on, research projects in the fields of environmental studies, conservation biology, wildlife/forest ecology, and primate behavior. Please view the attachments for a digital postcard of our Indonesia programs as well as a general PDF of our ES programs. We invite you to spread knowledge of these opportunities to your students, and please reach out to me with any further questions you may have about our programs.